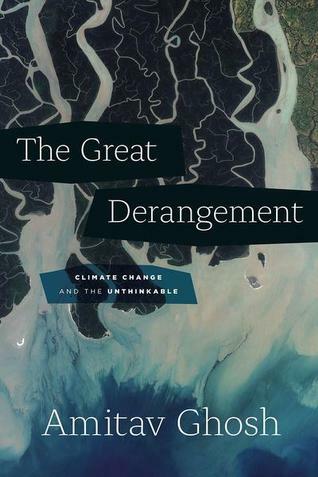 Amitav Ghosh’s latest non-fiction The Great Derangement: Climate Change and the Unthinkable sets him apart from writers like Naomi Klein and Sunita Narain who have ably argued for making capitalism less resource-intensive and consumerist in order to save our planet. In Ghosh’s assessment, merely transforming our economic system won’t solve a crisis that is intertwined with the world order. In just over 200 pages, Ghosh, a master of historical fiction, explains how the carbon economy has fueled the “empire,” or the political and military structures that have ensured the dominance of a few over the rest. Keeping Syria’s climate refugees out of Europe and the United States is only the latest chapter of the story that began when British steamships beat China in the First Opium War of 1839. As insightful as this argument is, the real surprise of The Great Derangement comes when Ghosh turns on his own tribe: writers like himself who define the English-language-dominated global literary mainstream. If you are asking what climate change has to do with literature, then you’ve pretty much proved Ghosh’s point. Fiction, according to Ghosh, is most suited to imagining the power of the non-human, as it once did in Hindu and Greek epics like the Ramayana and The Odyssey, in Urdu dastans and Buddhist Jataka tales, and in various African and Asian oral traditions. In The Great Derangement Ghosh studies the evolution of the modern novel and concludes that fiction today is too deeply committed to Enlightenment-inspired ideas of individualism and self-empowerment. As a result, he believes, it has relegated the non-human – animals, spirits, and elements – to the genres of fantasy, horror and science-fiction. Ghosh traces two parallel trajectories, of imperialism and industrialization on the one hand, and the modern fiction on the other. He finds that paradoxically, decolonization movements, based on the same ideals of individual rights, have played their part in this separation of humans and non-humans. As an example, Ghosh, points to 19th century Bengali writer, Bankim Chandra Chatterjee, who was moved to create a new kind of novel: European-style fiction in Indian vernacular. Ghosh’s historical perspective is valuable, but one wishes he had more to say about recent exciting developments in fiction. Ghosh views works such as Liz Jensen’s The Rapture and Barbara Kingsolver’s Flight Behavior as forms of resistance. That may be unfair to the emerging body of fiction literature, known as cli-fi, which sets stories of climate change very much in the world as we know it. I suspect with this book, Ghosh – whose commentary on the modern novel may ruffle a few feathers – wants to create a bigger space for arts, literature, and culture in the mainstream climate change narrative. After all, haven’t we come to regard natural disasters as the new normal to be managed by politicians and bureaucrats and to be solved by technology-driven corporate enterprise? In any case, Ghosh is not above self-reproach: “no tornado has ever figured in my novel.” But he doesn’t miss the opportunity in this non-fiction to imagine the forcefulness of nature. He conjures up the vision of a Mumbai hit by a Category 5 storm that’s brewing, as we speak, in the Arabian Sea. Many Indians (although no Americans that I know) love to point out the similarities between New York and Mumbai. Ghosh makes the case that both port cities built by the British Empire, much like Singapore and Hong Kong, established human settlements where there should have been none. Today ironically, the wealthiest with their sea-facing properties, whose prices don’t reflect the risk of climate change, are first in the line of nature’s fire. By framing the crisis in this way, Ghosh provides an important cultural and historical perspective to those investigating the possibilities of the Anthropocene. Ghosh’s final thought is equally intriguing. It will take something as profound as moral and religious philosophy to save us from our great derangement, he believes. Religions, after all, can conceptualize what the rational mind cannot grasp and climate change, Ghosh points out, is a catastrophe of the proportions of the apocalypse and the pralaya (in Hindu mythology). One can, however, as easily argue that the anticipation of the inevitable doomsday leads people, guided by blind faith, to make self-destructive choices. What gives Ghosh hope is Pope’s lucid encyclical on climate change, which he compares with the vague, muddled language of the Paris Agreement.